NEW YORK -- Cashless tolling is now in effect for the last two New York City bridges with toll booths that still accepted cash. 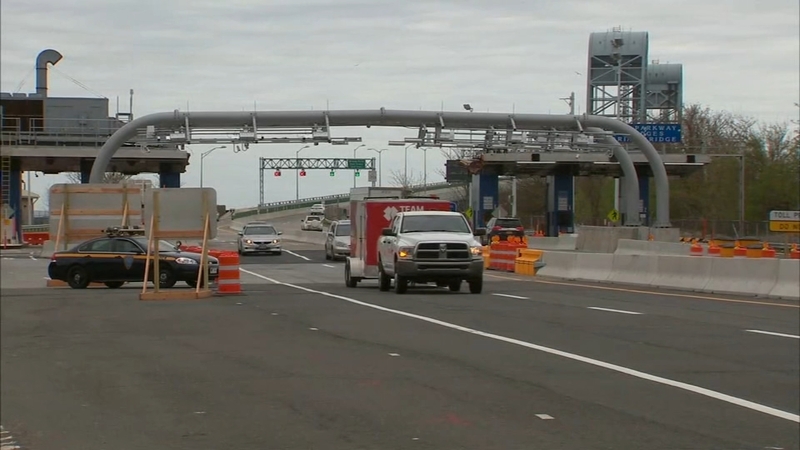 The tolling was implemented at 3 a.m. Saturday at the Bronx-Whitestone and Throgs Neck bridges. Governor Andrew Cuomo announced last year that cashless automated toll sensors would be installed on all MTA-operated bridges and tunnels in the New York metropolitan region by the end of 2017. Installation on the latest two bridges to get the cashless technology was completed three months ahead of schedule. Sensors and cameras suspended over the highway read E-ZPass tags and take license plate images. Vehicles with E-ZPass tags will be automatically charged. Vehicles without E-ZPass have their license plate recorded with a bill mailed to the registered owner of the vehicle.